VICTOR, ID – The Grand Teton Brewing Company announced today the release of a single batch beer for the Craft Brewers Conference. The IPA, Idaho Pale Ale, is a special 30 barrel batch made exclusively with ingredients from Idaho. “We really believe that Teton Valley, Idaho is one of the greatest places on the planet to brew beer,” said Chuck Nowicki. Nowicki pointed to the their ability to access Idaho grown barley and hops as well as the ability to use Teton Mountain spring water as reasons for the brews unique flavor. “The best and most expensive malting barley comes from our own backyard,” he said. The Idaho Pale Ale is done in the IPA style, checking in at 7.0% ABV and 90 IBU’s. Nowicki said drinkers can expect a spicy hop character that is more in line with the west coast IPA style. The Full press release from Grand Teton Brewing Company can be seen below. 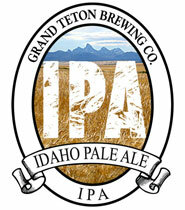 Grand Teton Brewing Company, known throughout the West for their exceptional craft brews, has created what might be the first-ever all-Idaho beer, named “Idaho Pale Ale.” This exceptionally flavorful India Pale Ale (IPA)-style brew was crafted only with hops grown in Southwest Idaho, high country barley grown and malted in Southeast Idaho, and pure Teton mountain spring water. The hops are the highlight of this beer, providing a big resinous flavor and a persistent bitterness. A light body and clean malt character allow the hops to shine through with tremendous clarity. Hop heads across the country will be delighted to see that the brewers in Idaho can craft an IPA every bit as hoppy as their west coast counterparts. For this inaugural Idaho-only brew Grand Teton Brewing Company’s Head Brewer Marks Lanham chose the hops Zeus and Bravo, both relatively new varieties well suited to the IPA style. 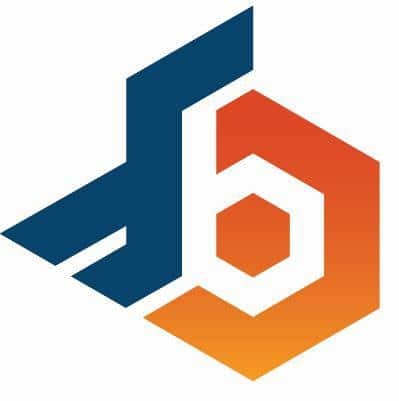 “Zeus are high-alpha hops with an intense lemony-citrus flavor, and Bravo contributes a wonderfully pleasant, pungent aroma,” enthused Lanham. Idaho Pale Ale will debut the week of March 21 at several of the best craft beer bars and restaurants in and around San Francisco, home of the 2011 Craft Brewers’ Conference (March 23-26.) It will also make limited draft-only appearances at Grand Teton Brewing Company’s Victor, Idaho brewpub. The first batch of Idaho Pale Ale is available on draft at select locations in California and at the Grand Teton Brewpub in Victor, Idaho. Other Grand Teton Brewing Company beers can be found in Arizona, California, Colorado, Idaho, Illinois, Kansas, Massachusetts, Minnesota, Missouri, Montana, Nevada, South Carolina, South Dakota, Washington, Wisconsin and Wyoming! Call the brewery at 1-888-899-1656 for information and availability on this exciting new product.